Wellable is excited to announce that Paul Hobbs Winery has just kicked off their Wellable program. 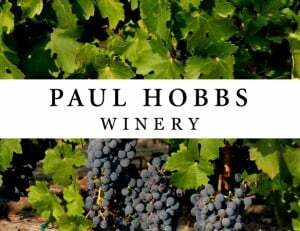 Paul Hobbs Winery is a Sonoma based vineyard and winery, whose founder was titled the “Steve Jobs of Wine” by Forbes. Paul Hobbs Wines demonstrated their taste for innovation by launching an innovative mobile technology wellness program — becoming the first California winery to do so. We’ve worked with the Paul Hobbs team to create a customized wellness experience for their employees. Paul Hobbs employees will be participating in individual and team-based wellness challenges using Wellable’s technology platform. In addition to using mobile apps like RunKeeper, Moves, and Foursquare to engage in healthy activity through the Wellable platform, Paul Hobbs employees will also receive customized daily health and wellness content. Employees will have the opportunity to win great rewards like gift cards to local businesses and Fitbits! Cheers to Paul Hobbs Winery for starting their Wellable journey!